Gearbox Software honcho Randy Pitchford estimates that 3D Realms co-founder George Broussard lost $20-30 million of his own money trying to finish Duke Nukem Forever. "There was bad news in May 2009. You all saw the stories; 3D Realms was shutting down, Duke was dead," Pitchford said this morning, reflecting on the end of 3D Realms' long, ugly and futile effort to get Duke Nukem Forever out the door. "I spoke to George Broussard and he said, 'Randy, this is the worst day of my life,' but you could hear in his voice there was more," he continued. "This was 12 years of his life... Try and imagine what you've achieved in 12 years. Gearbox has made 15 games in that time." Nor is time the only thing Broussard lost to the Duke Nukem escapade; an awful lot of money went down the drain too. "George Broussard is not a poor man but I would estimate that he lost 20 to 30 million dollars of his own money on Duke Nukem Forever. I don't care who you are, that's a hell of a lot of money," Pitchford said. "He was committed to Duke to the point of insanity... and now Duke was dead." "He decided he would rather have it burn than have a bad version of the game come out," he added. 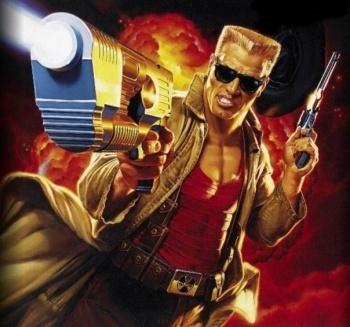 That's all well and good, but that in the end, neither happened: Duke Nukem Forever didn't come out but 3D Realms kept sputtering along, doing God knows what - while Gearbox, let us not forget, was busy punching out more than a dozen games. It's unfortunate for Broussard that he sunk that much money into a pit, but it just makes the question of what happened even more pressing. All that time, all those millions upon millions of investment funds and Broussard's own money: Where did it all go?